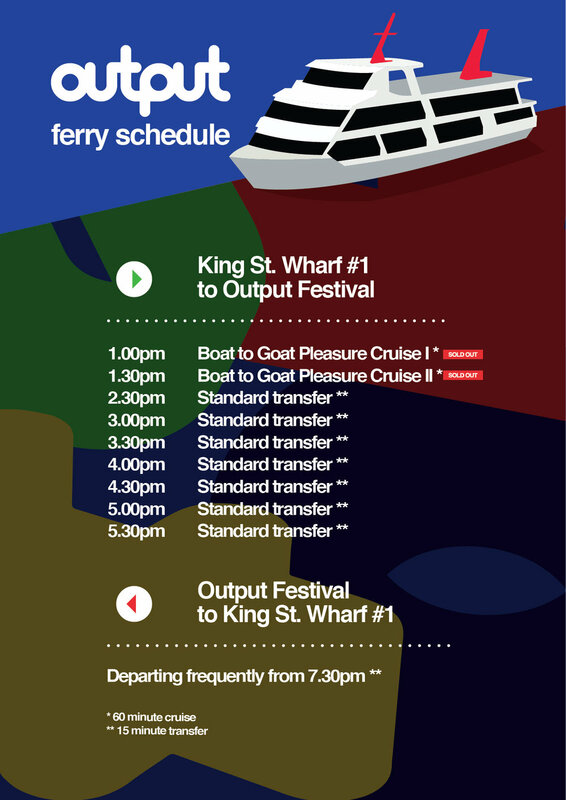 Included in your Output Festival ticket is a complimentary ferry service to and from Goat Island. This year we are working with Captain Cook Cruises, running 3x large vessels throughout the day to ensure a safe and speedy transfer to the festival. We have our very own dedicated wharf for the day and an improved queuing system to get you onboard quickly. Aside from the first 2 Pleasure Cruises (which are now both sold out) the transfers will not require booking ahead. 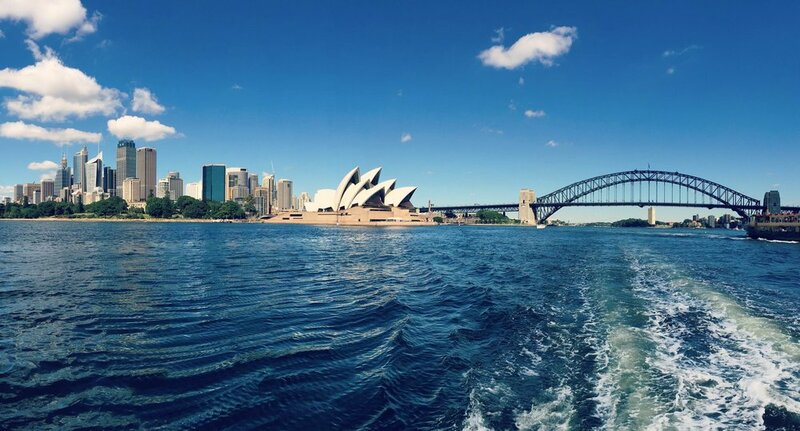 We do, however, advise arriving at King St. Wharf well ahead of your intended ferry departure time to allow for ticket processing, security checks and boarding time.